You must make reservations at least 5 minutes in advance of the time at North Ballarat Sports Club. 250 Car parking bays adjacent to Club house. Public transport Bus stop directly out the front of Club. The Club runs a courtesy Bus service 4 nights a week. Eureka Stadium showcasing sporting events. We can design individual package to suit 20 to 200 guests or you can choose from one of our many function packages. 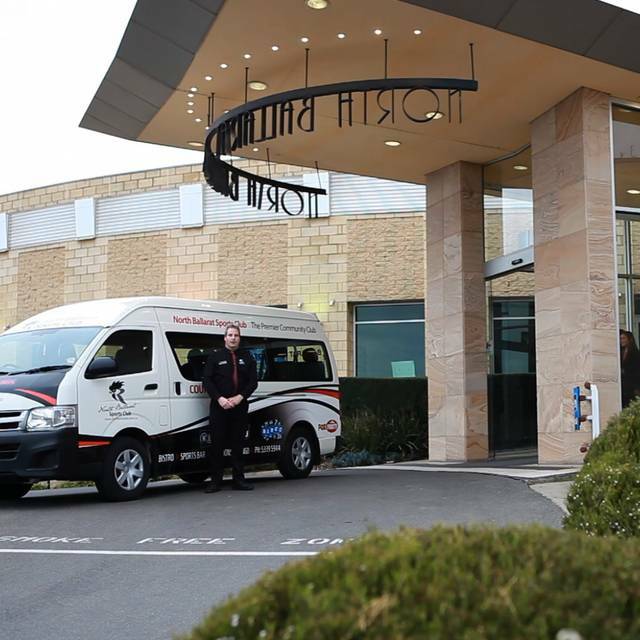 Enjoy your next fully serviced conference, corporate or family event at North Ballarat Sports Club. Ballarat's Premier Community Club featuring Bistro, Sportsbar, Functions and Bingo. Our kitchen serves Ballarat's best parma and a range of Club classics. Enjoy Club facilities and other entertainment at Eureka Stadium. What a terrific experience, waiters adjusted table to we could watch the footy, changed the channel for us, and quickly mopped up a spilled glass (and re-filled for free). Dinner was well cooked and presented. Staff were eager to chat and do anything to assist. Night was topped off by Collingwood winning as well! Food has always been good ,sunday roast is always good ,staff have always been polite and helpful. Nice Friendly Staff and a quiet, relaxing and enjoyable view to look over. Perhaps give each table a 'trivia' moment info sheet on the table.... what is the name of that mountain that sits so magestically in the distance. Yummy food (as always) and accommodating to the kids. We always like coming here for a family dinner! We were sat near what seemed like a function that made the whole restaurants be a little loud. I feel the group could have been closed off somehow? Enjoy eating at the club, restaurant service is always amazing unfortunately the same can’t be said for the bar staff... hit & miss both times, older ladies need to learn to SMILE, it’s not hard! Meals were pretty ordinary - Chips were not only salted but over salted which was unnecessary as my husband doesn't eat salt and that's why we have salt and pepper shakers on our tables. We have gone to the North BALLARAT Sports club quite a few times. The menu is fairly limited and standard fare but it is cooked well and consistent with the quality. The staff are absolutely lovely and we have never had any issues. Great menu and service. We were a table of 6 and all meals were served together. Seniors menu affordable but the food quality has slipped lately. The food on this occasion was TERRIBLE. It was dinnertime and we had the carvery. All of the meat was dried out and tasted like it had been reheated from lunchtime. There was a very meagre choice of vegetables and the potatoes were falling apart and stuck to the dish. Very disappointing. always greeted by super efficient and friendly staff, meals are good, even the taped music is good. have never waited long for meals, just good, good, good. We enjoyed an Excellent meal, with our table right next to the window. It was certainly value for money. Have to admit the coffe was as nice as expected. This venue is easy to access and the service is very good. The charming young man at the front took our orders and was most helpful with my elderly mother's comfort and enjoyment of her meal. 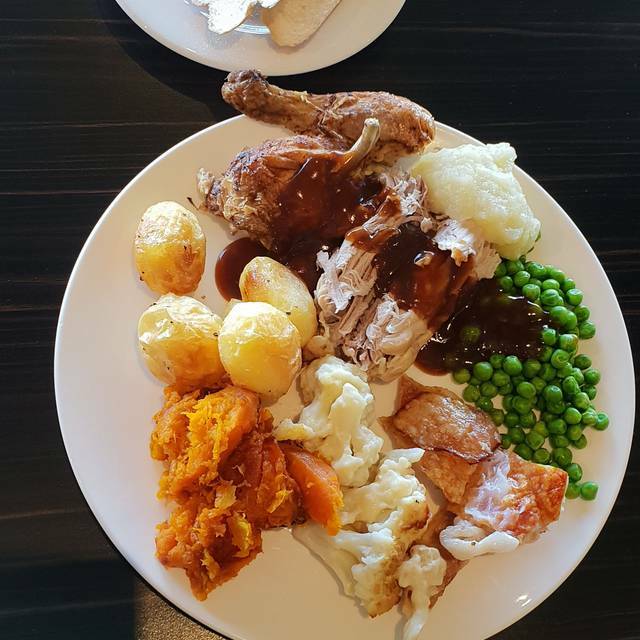 More than happy with the ambience, the staff were friendly and nothing was to much trouble, we go from Bendigo for the Sunday carvery and are never disappointed. Toilets are very clean as well as the whole complex. Having the carvery the waitress failed to mention what our desert options were. When we went to the counter to order, she never even apologised rather stating "I should have told you what you could have but didn't". I went to ask a question when she jumped down my throat repeating "I should have told you you can only order from the cake fridge but I forgot". No apologies, rude as and never even allowed me to ask the question of "if I pay the difference, can I order from the a-la-carte" menu. This same waitress made the same mistake to the table next to us as well. Very easy to make booking online. All staff were very welcoming and friendly. Great choice of food, large servings. Really enjoyed our meal. We went for my birthday and we had a great time. The food was nice. I like that there was a free colouring book for the kids, good idea. The man running the raffle was very entertaining and did a good job. We waited 40 mins for meals and the steak meals were cold. The beef from the carvery was very good. I rang at 4 to book and left a msg but did not get a call back 5.45. I had already booked on line as I was organising dinner for 7 people and needed to let them know. The staff member that rang back had no idea I had already booked via website and said that system doesn’t work very well. Very accommodating, great value and quality, very friendly staff. Highly recommend. Very friendly Staff. Great service and food was just what we needed. Very nice Venue. We travelled to Ballarat to see relative and went out for dinner. We were a bit surprised at the cost of the meals since Ballarat seems to be a mid to low economic area. the food was great though. The bar drinks were also to everyone's liking including the coffee. The Raffle was on during the period we were there so we were able to take part as a bit of fun. The kids menu was good with the exception of the noodles that had a lot of vegetables that most children wouldn't eat. The service overall was great and the venue is agreeable to the club scene with all amenities clean and accessible. A fantastic dining experience as always at the North Ballarat Sports Club. Staff are friendly and attentive, meals arrive quickly, taste delicious and are great value (especially with a members card) and the view of the stadium is exceptional. Highly recommended, plus they cater for my wife's food allergy. We had a good evening with family from Melbourne. The good was good and everyone enjoyed themselves. Our only complaint was our the position of our table was such that we experienced a cold draught from the front door constantly opening. This was especially felt by the people on that side of the table. One of the steaks was very underdone. The lemon meringuie was excellent, however the Spanish doughnuts were very oily, not really edible, possibly the oil was not hot enough to prevent them being soggy and oily - again disappointing. North Ballarat Sports Club is a great venue with great food and at great value. My husband and I took our nearly 5 year old granddaughter out for dinner as she was having a sleepover, and this started the night very well indeed. Went out for my birthday as I received a discount for being a member and the meals were lovely and great service. Would definitely go again.